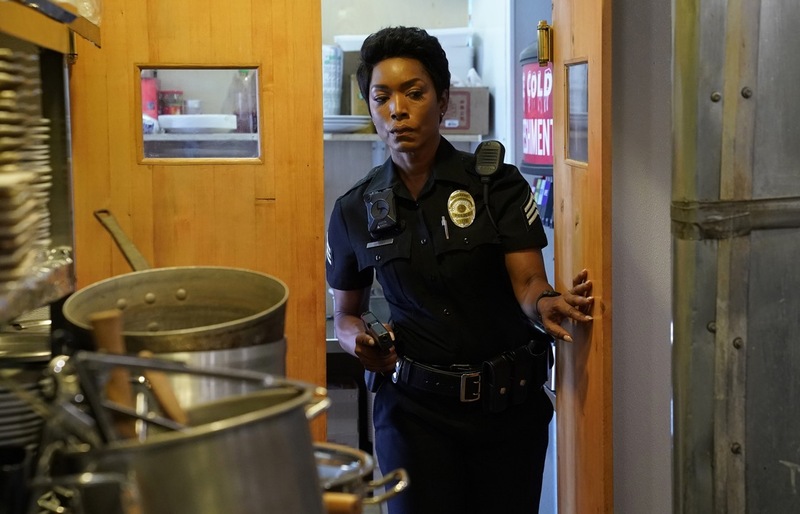 Episode 2×05 “Awful People” — Wanting to see the faces behind the 9-1-1 calls, Maddie goes on a ride-along with Athena, while dealing with a seemingly “perfect” dispatcher back at the call center. Meanwhile, Hen must figure out how to save her family from permanently falling apart, and the first responders deal with emergencies both at a military funeral and a movie theater. Cast: Angela Bassett as Athena Grant; Peter Krause as Bobby Nash; Jennifer Love Hewitt as Maddie Kendall; Oliver Stark as Evan “Buck” Buckley; Kenneth Choi as Howie “Chimney” Han; Aisha Hinds as Henrietta “Hen” Wilson; Rockmond Dunbar as Michael Grant; Ryan Guzman as Eddie Diaz; Corinne Massiah as May Grant; Marcanthonee Jon Reis as Harry Grant. Guest Cast: Tracie Thoms as Karen Wilson; Bryan Safi as Josh Russo; Christin Estabrook as Gloria; Debra Christofferson as Sue Blevins. Air Date: Monday, Oct. 15 (9:00-10:00 PM ET/PT) on FOX.